Ecobeau | May our skin grow beautiful, as we grow wiser. Both the essence and lotion are for oily skin. Made from highly enriched extract of herbal medicine, Natural Base Control Essence is an intensive natural hydrator, highly nutritive with potent antimicrobial properties. The composite harmony gives restoration of damaged skin cell for radiant and resilient skin. Natural Base Control Lotion hydrates, protects, smoothens and conditions your skin. Made from herb medicine extract, it serves as a natural hydrator with abundant nutrient to give you soft and radiant skin. Minimized vegetable oil is blended to provide a good balance of oil and moist. Non allergenic. Soft and moist. We were sent a travel kit of Ecobeau Natural Loess Travel Kit to review. Ecobeau products are all alcohol, parabens and synthetic preservatives free. They stand by their strong belief in using only natural herb-medicine extract and loess. So how did we like the cleanser? Find out! Consumers these days are getting more and more wary of what they are putting on their face. Paraben-free, alcohol-free, mineral-oil free : these words are no stranger to us anymore. However, most consumers do not even know the reason behind these words – what they do know is that they are not good for our skin, but are they really dangerous as everyone puts them to be? Or are these just marketing ploys made by ‘organic’/’natural’ companies to destroy the reputation of other brands who employ the use of these ingredients? After extensive research online, we will be putting up a list of various BB Creams which are ALL paraben free, alcohol free, artificial preservatives free, and artificial colouring free. However some are not talc or mineral oil free – and mostly non are silicone free. Before we get into the list, we will go through these so called ‘dangerous’ ingredients, you be the judge. These sources are compiled from different sites on the net. Parabens are the most widely used preservatives in personal care products; they stop fungus, bacteria and other microbes from growing in your favourite creams and makeup, especially in the moist, warm environment of a bathroom.Their names are a mouthful—methylparaben, ethylparaben, propylparaben, butylparaben and isobutylparaben. But over the past few years, a debate has been building among scientists, product safety regulators and cosmetic manufacturers about whether these ubiquitous chemicals, used for almost 70 years, may actually be harmful to our health. Some of the questions being asked: Is the rising incidence of breast cancer linked in part to the fact that parabens, which have a weak ability to mimic estrogen, have been found in breast cancer tumours and can be isolated from other body tissues? Are declining sperm counts and increasing rates of male breast cancer and testicular cancer related to the fact that these chemicals can be absorbed into our skin, potentially disrupting our endocrine systems? But Health Canada, the U.S. Food and Drug Administration, and the Cosmetic Ingredient Review (CIR), a U.S.-based industry-sponsored panel of experts that evaluates the safety of cosmetic ingredients, have all deemed that parabens are safe at current exposure levels. The CIR examined parabens in 1984 and again in 2005, and both times concluded that parabens at the low levels found in personal care products are not a concern. In 2005, the European Commission’s Scientific Committee on Consumer Products confirmed that the use of methyl- and ethyl-paraben is safe as regulated. It is gathering data on other parabens. Companies are increasingly switching to non-paraben preservative systems. Not because they believe that there is any dangers to them, but because it increases their marketability. With the rampant so-called dangers of parabens hitting the media, companies will use any reason to position themselves to take advantage of the situation. Even the companies will admit that they believe parabens are safe, but they want to open up another option. So please understand this: just because some companies maybe shifting away from parabens, this doesn’t mean that they are acknowledging any dangers associated with them! To read more about parabens and their controversies, click on these sites : here , here , here , here. There are two types of alcohol – one that are good for the skin, the other bad. There’s also two theories of alcohol – one is that alcohol is very irritating, drying and damaging to the skin, and that the other is that that alcohol evaporates once it is applied to the skin so it is just a carrier and doesn’t in fact make any difference. There is a difference between alcohols. Some are good for the skin and don’t dry them out, some dry the skin out completely. Propylene Glycol (PG, Polyethylene Glycol (PEG), and Ethylene Glycol (EG) are all petroleum derivatives that act as solvents, surfactants, and wetting agents. They can easily penetrate the skin, and can weaken protein and cellular structure. In fact, PG penetrates the skin so quickly that the EPA warns factory workers to avoid skin contact, to prevent brain, liver, and kidney abnormalities. PG is present in many stick deodorants, often in heavier concentration than in most industrial applications. (Nyack, Dr. Vin, Ph.D., Biochemist; personal communication). And Propylene Glycol is what is used to carry the “active” ingredients in those transdermal patches INTO YOUR BODY. Imagine a bottle of Anti-Freeze in a picture with shampoos, deodorants, cosmetics, lotions and toothpastes? Known also as paraffin oil/wax, liquidum paraffinum. Petroleum by-product that coats the skin like plastic, clogging the pores. Interferes with skin’s ability to eliminate toxins, promoting acne and other disorders. 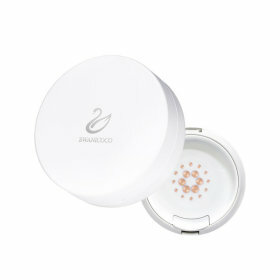 Slows down skin function and cell development, resulting in premature aging. Used in many products (baby oil is 100% mineral oil!) Any mineral oil derivative can be contaminated with cancer causing PAH’s (Polycyclic Aromatic Hydrocarbons). Manufacturers use petrolatum because it is unbelievably cheap. Breast cancer and impurities. EWG’s assessment of product ingredient labels and data on cancer-causing chemicals identified three common impurities in personal care products that are linked to mammary tumors in animal studies — ethylene oxide, PAHs, and 1,3-butadiene. Since September 2004 the EU has banned the use of petroleum jelly due to the carcinogenic contamination found in products containing petrolatum. The ingredients for which these impurities are of concern are used in one of every four personal care products on the market. However, there are also different grades of Mineral Oil – so it really depends. Read more about it here, here, here, here. Synthetic Colors — The synthetic colors used to supposedly make a cosmetic “pretty” should be avoided at all costs, along with hair dyes. They will be labeled as FD&C or D&C, followed by a color and a number. Example: FD&C Red No. 6 / D&C Green No. 6. Synthetic colors are believed to be cancer-causing agents. If a cosmetic contains them, don’t use it. Sure, they make your favorite products look inviting, but synthetic tints can contain a host of unnamed, and unsafe, ingredients. If you don’t tolerate mystery ingredients in your food, why trust them in your cosmetics? “Why would anyone want blue lotion?” asks Kathleen Lewis, who runs her self-named line of skincare products in Brooklyn, New York, and believes products needn’t be “unnecessarily decorative.” “What’s worse than blue,” says Pangea’s Onysko, “is white. Why does any lotion need to be white?” Many milk-hued “natural” products are made with refined, bleached oils, so just looking for FD&C Blue No. 1 or D&C Red No. 4 may not be enough. The synthetic fragrances used in cosmetics can have as many as 200 ingredients. There is no way to know what the chemicals are, since on the label it will simply say “Fragrance.” Some of the problems caused by these chemicals are headaches, dizziness, rash, hyperpigmentation, violent coughing, vomiting, skin irritation by a cosmetic that has the word “Fragrance” on the ingredients label. The Orange Co ( which carry brands such as Dr Jart, Ecobeau ) has been generous enough to send some travel sets to Hope In A Blog for reviews. They also have included two sachets which contains two sample size of their 0.3% dimethicone organic BB Cream exclusively for our readers. So if you want to win them, keep an eye on Hope In A Blog, make sure you subscribe to our twitter/facebook, because you never know what we will be giving away that will not be announced on the blog! For more information on Ecobeau products : click here! And also The Orange Co’s facebook page : here! As famous as BB Creams have become and loved, there are also a number of those who doesn’t use BB Creams because it is packed with tons of silicones. So why the hate for silicones? Afterall the ‘smooth velvety’ feeling you feel on your skin whenever you apply your creams/bb creams/foundations/serums are all due to Silicones. They make products feel smooth, but evaporate without leaving a greasy residue unlike petrolatum. Also, Silicones are very non-reactive – meaning very little chance of causing irritation therefore making it perfect for people with sensitive skin. It creates a barrier on the skin against pollution, etc – but at the same time – the skin isn’t able to ‘breathe’ and it makes the skin congested. However, recently a Korean company called IsoI (Koreans have this thing for making weird peculiar English abbreviations ) and guess what it stands for? I’m SO Intelligent = ISOI. And introducing the world’s first ever Silicone-free BB Cream. 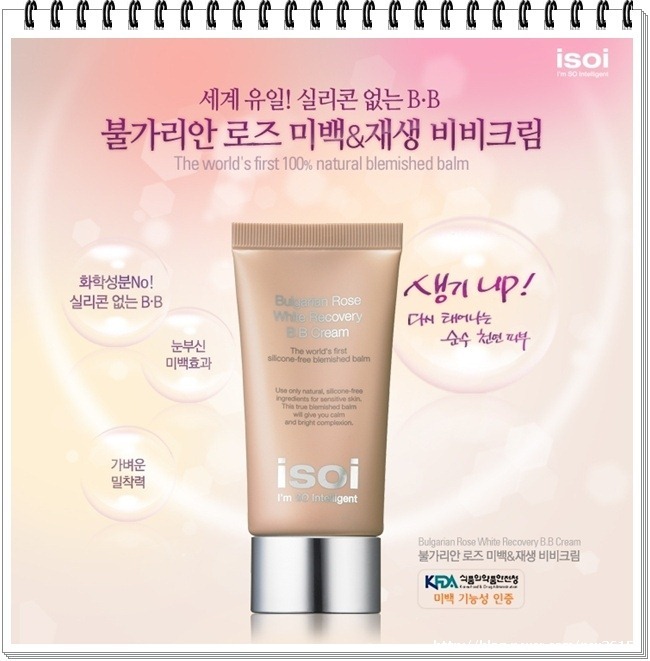 The ISOI’s Bulgarian Rose White Recovery BB Cream. The main ingredient is of course Bulgarian Rose Oil distilled from roses in the Bulgarian Rose Valley. It is an expensive ingredient because to make 1ml of the oil, 3000 roses are needed. 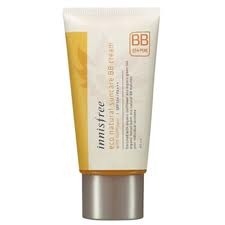 The BB Cream claims to be paraben-free, chemical-free, silicones-free, fragrance-free. 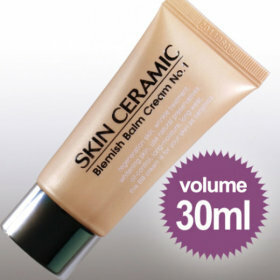 Currently there is no way to get hold of this BB Cream, i can’t even find it on Gmarket. If anyone knows a way, please alert me. I would love to do a review for everyone. Dimethicone is silicone oil. And the people at The Orange Co didn’t even noticed this until Hope In A Blog pointed it out to them in an email (and we even ordered to test it but cancelled it later on) and they took down the ‘World’s First BB Cream Without Silicones’ tagline on their website. So i say they should send Hope In A Blog some samples for free to thank us ! Thank you for email and highlighting the ingredient. We run through the ingredient list and noted Dimethicone, it is a derivative of silicone. Ecobeau lab in Korea is having long holiday now, we are awaiting for their advice on this. (we have to check which is the print error). In the mean time, to be safe, we have removed the part on silicone-free (till they revert to us). We apologise for the error. Ecobeau is the brainchild of Prof Choi fr Kwangwoon Univ. We trust his efforts in bringing us quality pdts in most natural way. We have received reply from Korean lab. Yes, the new BB plus (2nd version) has added 0.3% dimethicone in order to eliminate white turbity on skin. (due to customers’ feedback on spreading). We have removed the ‘silicone-free’ on website. Our sincere apologies on the error. At this juncture, will like to know your preference. Should we refund you the amt paid or u wish to proceed with the purchase. Look forward to hearing from u. So obviously we cancelled the order, but hopefully they will be kind enough to send us a sample to see how this 3% dimethicone BB Cream compares to the rest. The Orange Co has responded and they did indeed offer a silicone free BB but recently changed it due to customer feedback because it was rather challenging for customers to spread on their skin. Thus a 0,3% dimethicone was added to rectify this problem. The Orange Co was kind enough to offer Hope In A Blog a sample of the BB Cream, so once we receive it, we will write a full up review on the BB Cream. Stay tuned !